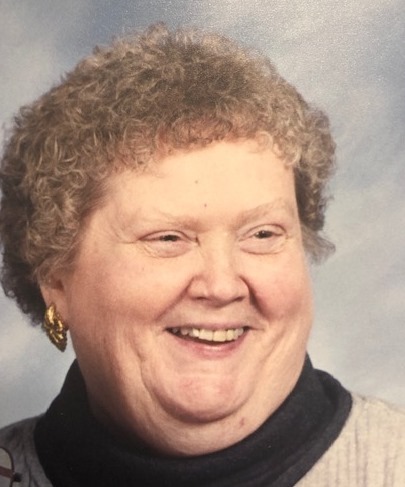 Youngstown - Mary Barbara Girts, 80, died November 5, 2018 at Hospice of the Valley, Hospice House. Mrs. Girts, know as Barb was born August 1, 1938 in Youngstown, a daughter of James and Stella Kalaher Russell. She was a 1956 graduate of South High School and was a secretary for Standard Slag for 6 years. She is survived by her husband, Charles, whom she married Sept. 15, 1962 at the Chapel of Friendly Bells in Youngstown; one son, James Girts of Boardman; two daughters, Karen Girts of Youngstown and Alice (John) Banko of Boardman; two grandchildren, Melanie Banko of Boardman and Samantha Banko of Boardman. She was preceded in death by both her parents. A memorial service will be held at Davis-Becker Funeral Home, 8536 Market St., Boardman, Saturday, November 10, 2018 at 11:30 AM with officiating Pastor Mark Thomas. Contributions may be made to Christ Church Presbyterian Church, 1933 Canfield Rd., Youngstown, OH 44511 or Make-A-Wish Foundation, www.wish.org.